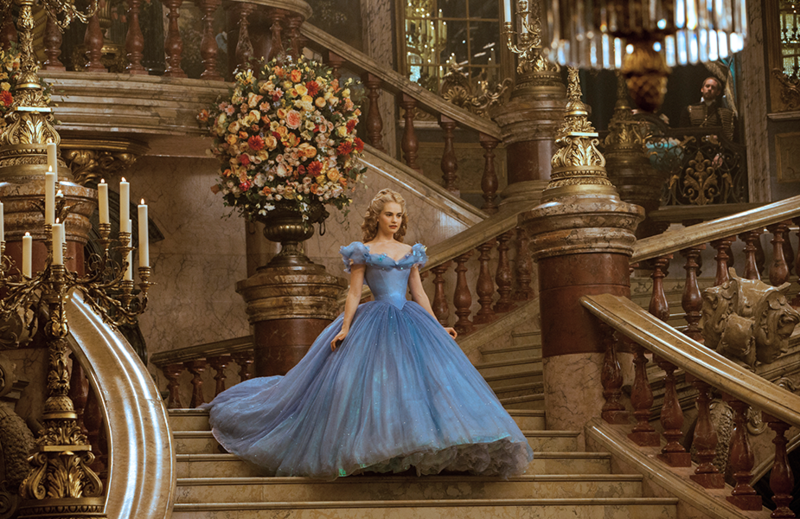 Cinderella (film) Live-action retelling of the Cinderella story. Young Ella’s merchant father remarries after the death of her mother. Eager to support her loving father, Ella welcomes her new stepmother and her daughters Anastasia and Drisella into the family home. But, when Ella’s father unexpectedly dies, she finds herself at the mercy of a jealous and cruel new family. Finally relegated to nothing more than a servant girl covered in ashes, and spitefully named Cinderella, Ella could easily begin to lose hope. But Ella does not give in to despair, and meets a dashing stranger in the woods. Unaware that he is really a prince, Ella finally feels she has met a kindred soul. It appears her fortunes may be about to change when the palace sends out an open invitation for all maidens to attend a ball. Alas, her stepmother forbids her to attend. But help is at hand when a kindly beggar woman steps forward and, with a pumpkin and a few mice, changes Cinderella’s life forever. Released in the U.S. on March 13, 2015, after numerous international releases on March 6, 11, and 12. Directed by Kenneth Branagh. Stars Lily James (Ella), Cate Blanchett (Lady Tremaine), Holliday Grainger (Anastasia), Sophie McShera (Drisella), Richard Madden (Kit/Prince Charming), Helena Bonham Carter (Fairy Godmother), Stellan Skarsgard (Grand Duke), Derek Jacobi (King). 105 min. Filmed in widescreen format.